In the spirit of the day, our friends at Google have a special mini comic for you! Hi folks, as you may have noticed, some big changes are going on here at Gamecreature. And as is usually the case with big changes, there are a few hiccups here and there. I'm chasing them down as quick as I can. Hopefully I'll get them all cleared up in the next day or so. In the meantime, I hope you'll let me know what you think of the new site. 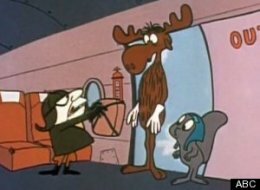 As the artist behind Rocky and Bullwinkle (among many others) Alex Anderson has achieved what every artist strives for - his creations will survive long after his passing. I have delighted in what he and Jay Ward have created and for that I am eternally grateful. He will be missed. Some folks may remember when Adobe was on a spending spree, buying up companies left and right. I was happily using Macromedia's products when Adobe snatched them up and I found myself having to re-learn how to do what I did in Freehand now in Illustrator. 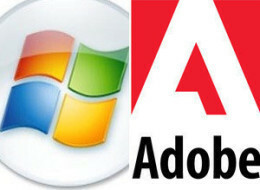 So it doesn't really surprise me that Adobe now finds themselves in the cross-hairs of a company like Microsoft. I'm not sure if this will change anything. After perfecting their creative suite, it appears that Adobe decided that they needed to bolster their annual sales by offering new suites every year. Sadly, the price tag for these suites are ridiculously high (even more so if you skipped a generation). And then there's the wonder of whether or not the suite you're about to drop a bundle on is going to be "obsolete" in a few months' time. Is it any wonder that Microsoft is licking its chops at the prospect of acquiring this franchise?